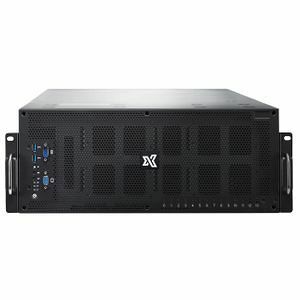 The TensorEX TS4-1598415-REL is a 4U rack mountable server supporting 2x Intel Xeon Scalable Family processors and a maximum of 1.5 TB DDR4 memory. It is specced to provide maximum GPU-accelerated performance for Relion 2.0 users. It features the most of up-to-date Relion software.